Between people wearing boots and jeans, some characters were a little bit different on the streets of the 22nd International Fair of Agricultural Technology, the Agrishow. With suits and shiny shoes, hundreds of foreigners were part of the 150,000 visitors who went to the fair that happened in Ribeirão Preto between late April and early May. Exhibitors, visitors, businessmen and journalists from five continents attended the event. "We organized this collective participation to make the largest possible number of Italian companies to internationalize and also grow out of Italy." It's a way to make industries spend less to expand than if they participated in the events in an autonomous way, explains Lamorgese. In addition to ITA, the Italian Agricultural Machinery ManufacturersFederation, FederUnacoma, supports the Italians in international events. In Agrishow, Italian companies participate for 17 years. There are even activities to assist in opening markets in countries where the sector of agricultural machinery is strong, such as Russia, Iran, China and South Korea. Fabio Ricci, responsible for the foreign market sector FederUnacoma, says that for the Italians, the Agrishow is the most important agribusiness event in Brazil. "We are already working in the next edition. We want to expand our participation in the fair, which this year was attended by 20 companies." 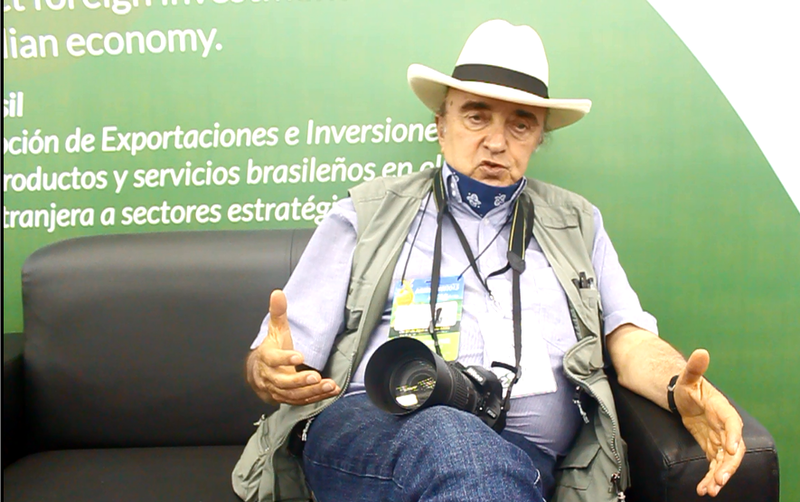 Andrea Padiglione, employee of an Italian company that comes to Agrishow since the 1990s,says that Brazil is a strategic country for investments. "It's one of the few countries in the world that has a bit of everything: land, labor, climate and technology. Brazil has enormous potential”. Massimiliano Pasini (photo) is another representative of one of the 20 Italian companies that came in Agrishow supported by the Italian government. "Brazilian agriculture is developing very well. Our goal is to enter in the Brazilian market," he says. He felt pleased with the reception of Brazilian people and liked the organization of the fair. "People were nice, always smiling. It's something we rarely see in Italy. We're a little more stressed," he jokes. Padiglione considers that Brazil needs to rebalance its economy and enhance social justice. "There are the very rich and the extremely poor. It is necessary to expand the middle class. But I see that in recent years this is being done. I saw a major transformation in the country", says. Venceslao Soligo is an Italian journalist who worked in Agrishow for the third time. Soligo says the fair is very representative in the Brazilian agricultural and industrial market, for all its dynamism. "I think Agrishow should be even more enhanced by the federal government to become an international landmark of weight." Venceslao says that Brazil is "a huge country and an extraordinary strength, which gives it a very large global responsibility." Thai Society of Agricultural Engineering. Looking for that potential, Dares Kittiyopas traveled more than 24 hours on an airplane just to visit the fair. The president of Thai Society of Agricultural Engineering (TSAE) came from Bangkok, the capital of her country, in search of agricultural machinery for the sugarcane. "We are the third largest producer of sugarcane in the world. 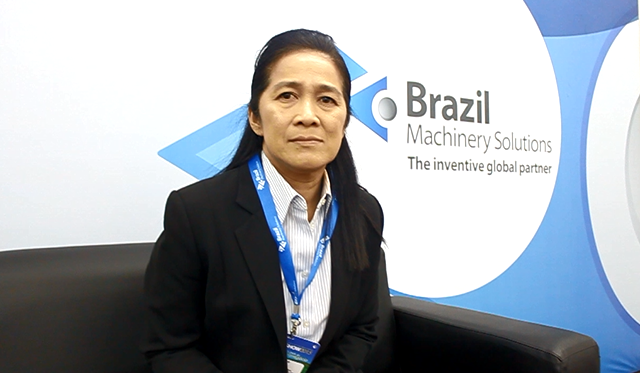 We want to increase mechanization in Thailand and see interesting machines", says Kittiyopas. It is with excitement that Avdhesh Mathur, president of a multinational that works with fertilizers, talks about Brazilian agribusiness. "Today the whole world looks for Brazilian agriculture, which is growing very well and has high-tech machines. The country exports many agricultural products such as coffee, sugarcane and soybeans," says the visitor from India. The Kenyan Fergus Robley is director of a company that represents brands of agricultural equipment such as Massey Ferguson, Baldan and Nogueira in eastern Africa. He says he visited Agrishow because the national machinery is very suitable for the region. "Brazilian machines are sturdy, well built and very appropriate to the qualifications that we have in Africa," explains Robley. Brazil also assists the domestic companies to find partners in international trade. The Brazil Machinery Solutions Program (BMS) program is an example of it. The BMS is a partnership of Brazilian Trade and Investment Promotion Agency (Apex Brazil) with the Brazilian Association of Machinery and Equipment (Abimaq). The program seeks to assist Brazilian companies in the export process and to open new markets in the international environment, explains Tábata Silva, analyst of BMS program. One of BMS 's actions is the International Business Roundtable, held during Agrishow for the 16th time in 2015. "There were eight countries present: Brazil, Algeria, Belgium, Canada, Egypt, United States, Philippines and Thailand. For two days, there were about 300 meetings of 30 minutes each and 30 domestic manufacturers of machinery and equipment sector within the agricultural environment took part," says Tábata Silva. In 2015, the roundtable has generated 17 million dollars in negotiations. One of the Brazilian companies in the roundtable was Stara, manufacturer of sprayers, planters and other farm equipment, which sells its products to over 35 countries. According to Felipe Willers, export manager of Stara, the company participates in the roundtable for more than seven years, noting that it is an opportunity to meet a potential customer from abroad. He said the good side of the roundtable is its agility, since in just a week it is possible to advance a lot. "The roundtable shortens various steps of the negotiation, especially when it comes to foreign markets. If the person gets really interested in our products, and we've done this several times, we may even invite the client to know our factory," says. "We make contact and we can bring the client to our booth and show our products. He can see the quality of our product in 'real life’. We had good expectations and once again they were met, since strong companies in the international market were interested in our products," says Felipe, who talked to buyers from Canada and the United States, markets where Stara is not present yet. The journalist Sergio Resquin lives in Asuncion, capital of Paraguay. There, he works in a newspaper and a TV show. Resquin says the Agrishow is quite large compared to the fairs of Paraguay. "I am pleased that several companies had good presentations of their products and there was a great investment in the booths. It was a wonderful experience to participate in the Agrishow". The Colombian zootechnician Alvaro Restrepo is organizer of a program that promotes trips around the world since 1992. In Brazil, he has come 19 times and brought people to Agrishow twelve times. "The size and the way the fair grew impresses me." This year, Alvaro brought a group of seventeen Venezuelans and five Colombians, looking forward to know the agriculture in the states of São Paulo and Minas Gerais. Surprise is the word used by the Venezuelan rancher Carlos Rumbos, from Restrepo's group, to define what he found at the fair. "I am surprised with the technological advancement of the Brazilian machines. I saw equipment made with a great technology and highly resistant". Rumbos was mainly interested in equipment for livestock such as milking machines. Alvaro Restrepo says that the Brazilian machines such as tractors, planters and harvesters are to a large-scale agriculture, showing Brazil's growth in food supply. "For me, Brazil is the country in the tropics with the greater ability to project and grow in what it is: the world's largest meat producer and a major producer of food," explains Restrepo. “Agrishow clarified a point for me: Brazilian economy is at its most important point of progress. The country may have political problems, but we all do. Brazilian people must be very proud of a country like this," says.